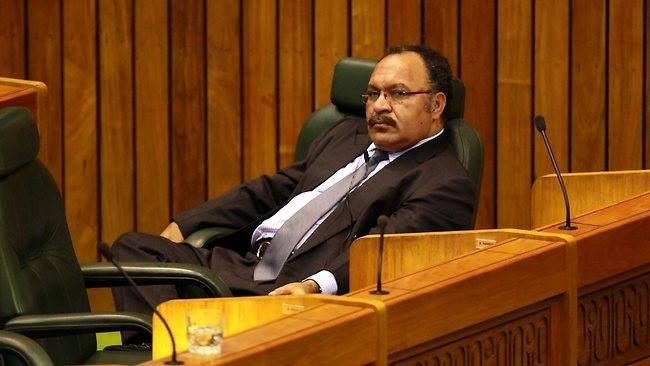 Papua New Guinea Prime Minister and Minister for Sports, Peter O’Neill has praised the tireless dedication of the PNG Hunters after they won the Queensland Rugby League’s Intrust Cup for the first time. Following the success of the PNG Hunters on and off the field, PM O’Neill said the case has been strengthen for a Papua New Guinea team to enter the National Rugby League competition. “On behalf of our nation I again congratulate the PNG Hunters on their historic achievement in Brisbane,” the Prime Minister said. The Prime Minister said rugby league is the national sport of Papua New Guinea, and the Hunters win builds the case for a PNG team to be included in the NRL. “Over the past four seasons the Hunters have demonstrated that they have the depth of player talent to compete at the highest level. “But very importantly, we recognise that entering a team in the NRL also requires the highest level of administrative organisation to manage the team and logistics, and we have demonstrated that we have this capability. “I will seek additional meetings between our rugby league officials and the NRL to advance these discussions. “We know the rugby league community in Australia is behind a PNG team joining the NRL. “As we see every week during the Hunters games in Queensland, the supporters turn out in their thousands to see the raw rugby league talent that comes from Papua New Guinea. PM O’Neill said Rugby League has a golden future in Papua New Guinea and he thanked everyone who has been involved in advancing the sport. “This is an exciting time to be a rugby league fan in Papua New Guinea, particularly with three World Cup Games being played in Papua New Guinea this year. “Rugby league helps bring our nation together, and it encourages greater participation by youth in all sports.